There are three medieval churches in the Birchams, and St Andrew sits to the east on the road to Bagthorpe. Ivy and elder-surrounded and encased, it was quite unapproachable on this day in high summer, and it was all I could do to stand on tiptoe and take a photograph of the tower over the high hedge. The church was in regular use until the Second World War, but proximity to Bircham airfield placed it off limits. It was never restored to use, being less than a mile from St Mary in the middle of the village. St Andrew was abandoned in the late 1940s, unroofed in 1952, and in the sixty-odd years since has almost completely gone back to nature. 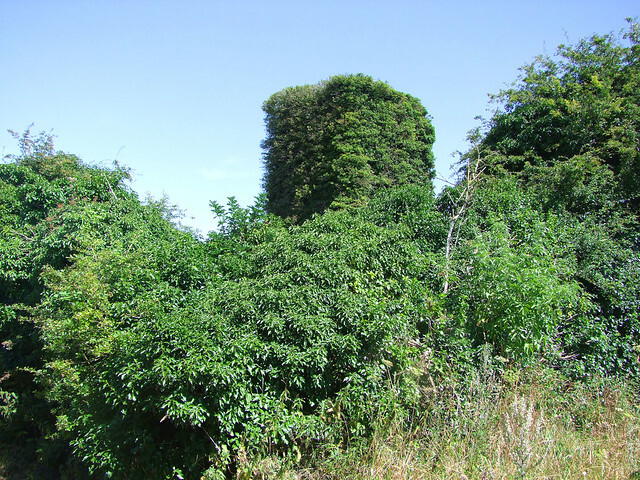 Some of Norfolk's hundred-odd ruined churches have been cleared of overgrowth and stabilised by the County Council, although it is said by the locals here that the ivy and elder are all that's holding the church together.